Copyrights are a form of intellectual property. Intellectual property consists of intangible assets such as original works of authorship and business goodwill. Intellectual property laws are specifically written to protect ownership rights in these intangible assets. A “copyright” is a right that protects the creator of an original work of authorship. The creator has the exclusive right to determine whether, and under what conditions, this original work may be used by others. 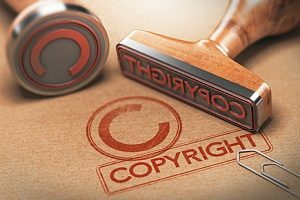 The copyright owner has the exclusive right to print, publish, perform, film, or record literary, artistic, or musical material, and to authorize others to do the same. Copyrights are just one category of intellectual property rights. Copyrights are different than patents and trademarks. Patents protect an owner’s rights to their inventions. Trademarks are words and symbols used to represent a business’s goodwill with respect to its products and services. Under the Copyright Revision Act and its amendments, copyright protection exists for both published and unpublished works as long as the work is fixed in tangible form. The Copyright Act covers the rights of visual artists, the protection of architectural work, and computer software rental issues. It is a violation of copyright law for an owner of a particular copy of software to rent, lease, or lend that copy, for direct or indirect commercial advantage, without the copyright owner’s permission. The creator of a work has a copyright in it as soon as the work is created. The creator of the work does not need to take any affirmative steps to get copyright protection. Copyright protection exists beginning the moment the work is created and fixed in a tangible form that it is perceptible either directly or with the aid of a machine or device. You need not formally register your copyright. 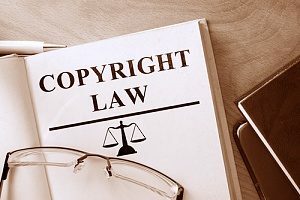 However, you will have to register it with the United States Copyright Office if you wish to bring a lawsuit for infringement of the copyright. If you produce work for commercial purposes, this is a particularly significant benefit. Registration of your copyright provides you with the best protection against infringement and plagiarism. Copyright registration is a good idea for other reasons as well. Registration makes a public record of the facts of the copyright and provides the owner with a certificate of registration. If registration occurs within five years of publication, it is considered prima facie evidence in a court of law. Also, registered works can be eligible for statutory damages and attorney’s fees in successful litigation. What Is Required for a Work to Have Copyright Protection? Copyright protection exists for (1) original (2) works of authorship (3) fixed in any tangible medium of expression, now known or later developed, from which they can be perceived, reproduced, or otherwise communicated, either directly or with the aid of a machine or a device. There are a few requirements that need to be met in order to be considered work to be copyrighted. First, the Copyright Act protects work that is “original”. The originality requirement means merely that the work was independently created by the author and possesses some minimal degree of creativity. The level of creativity required is very low. Finally, the Copyright Act protects all works of authorship from the moment that they are “fixed in a tangible form” be it on paper, film, a computer disk, memory chips, magnetic tape, or other human or machine readable format. A work is “fixed” when it is sufficiently permanent or stable to permit it to be perceived, reproduced, or otherwise communicated for a period of more than transitory duration. The work can be fixed in any tangible medium of expression, now known or later developed, from which it can be perceived, reproduced or otherwise communicated, either directly or with the aid of a machine or device. Even work loaded into a computer’s memory is sufficiently fixed. Computer video games are works that are created in order to permit the player to alter the game’s video images. One of the most often used defenses in copyright disputes is the “fair use” defense. The doctrine of “fair use” permits certain acts of copying. Under the fair use doctrine, any criticism, news reporting, teaching, and scholarly comment are all fair uses of copyrighted works. The fair use doctrine excuses an act of copying that would otherwise be an act of copyright infringement. Typically, any copying that has a commercial component to it most likely will not be a fair use. A common example is photocopying magazine articles for distribution rather than purchasing additional copies of the magazine can constitute copyright infringement. In determining whether the use of a copyrighted work in any particular case is a fair use the court will examine the purpose and character of the use, including whether such use is of a commercial nature or is for nonprofit educational purposes; the nature of the copyrighted work; the amount and substantiality of the portion used in relation to the copyrighted work as a whole; and the effect of the use upon the potential market for or value of the copyrighted work. Protecting your copyrights, like protecting any other intellectual property right, can be complex and requires strategic planning. 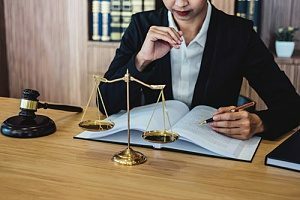 You should speak to an experienced litigation and dispute resolution attorney for more information about your case.